Glad to say that the October 2016 Monthly Rollup contains a hotfix for the present User Profile Disk dismount issues some of us have been experiencing (and complaining about). Addresses issue where the user profile disk (UPD) does not dismount when a user logs off. Therefore, users get temporary profiles and are not able to work with their own profiles during their next logon. 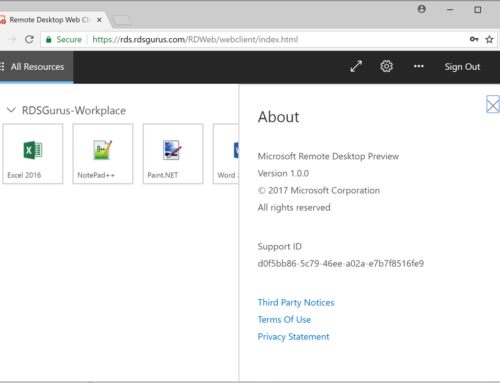 The Event ID 20491 with a description of “Remote Desktop Services could not disconnect a user disk for the user account with a SID of <SID>. The error code is 0xAA.93” will be logged.